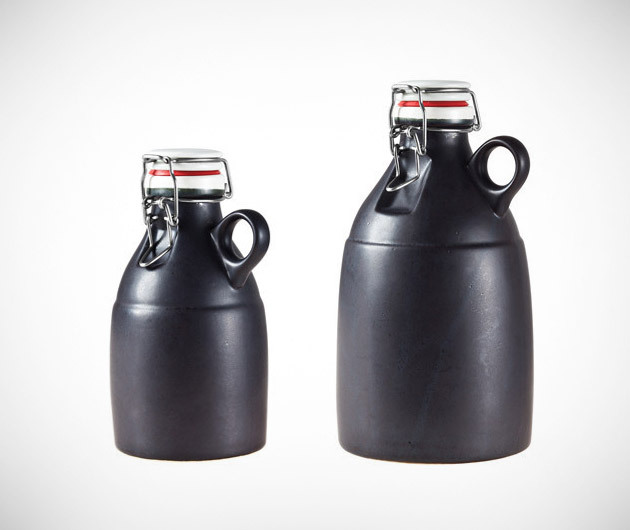 A highly environmentally-friendly product, crafted in the USA, the Handmade Ceramic Growler not only protects your beer and keeps it fresh, but best of all reduces any waste. Who likes wasting good beer? There are no machines involved in their production, with each one trimmed on a potters' wheel with the resulting ceramic cast so thick it will resist the most plummeting of temperatures.